This summer we are planning to do a lot of outdoor activities like patio parties, pic nics and possibly camping with the kids. Our first celebration is of course Canada Day. Every year we invite friends and loved ones over to just relax and reconnect out on our patio with drinks and good food. Ending the evening with sparklers and watching the fireworks displayed in the night sky, Celebrating the Canadian way. One main item that should be on everyones summer list is a cooler, a place to keep beverages and food chilled on a hot day outside. Nobody likes warm drinks and it's no fun running in and out from the patio to the fridge inside to get your guests a cold one. I know too well about running in and out of the house hosting of a summer party. 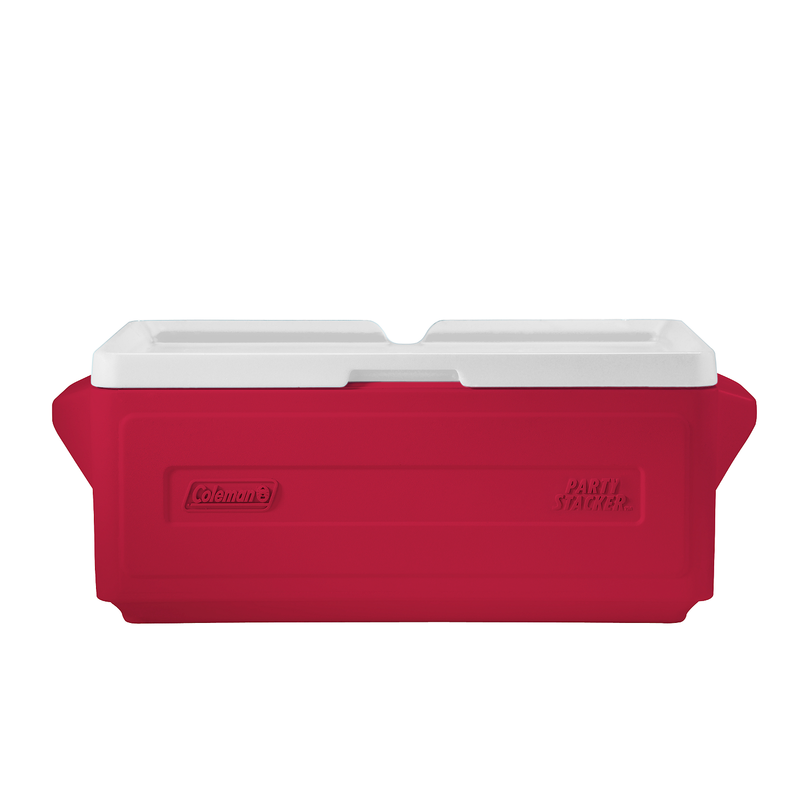 Coleman's Party Stacker Coolers are just what you need to store cold items on the go. From camping and patio parties to sporting events and more, Coleman is there to keep it cool. Coleman was generous enough to send us a 24 Quart cooler to take a look at, it holds up to 24 pop cans with ice. It's a perfect size for a quick pack and go day trip or place it out on the patio during our summer celebrations. Coleman's Party Stacker Coolers have a space saving design, if you have more than one you can easily stack them on top of eachother to save space when travelling and are large enough to fit serving dishes inside for those who premake food and bring it along to parties or wherever summer may bring you. These insulated coolers guarantee to keep your food and beverage chilled. It comes in different colours including a fun red, perfect for our upcoming Canada Day celebrations! The 24 Quart Coleman Party Stacker Cooler can be purchased at Canadian Tire for $26.99. When the evenings get too dark, toss a Coleman Auto-On Cooler Light in and you're good to go! The fridge light for your cooler with an integrated motion sensor with three light modes on, off and automatic. Just toss it in the cooler and let the party begin! You can put it anywhere; storage closet, tool chest, tackle box, work shed or use it as an outdoor night light! Simple to install, it includes quick stick tape and screw mounted bracket. You can buy the Coleman Auto-On Cooler Light at Canadian Tire for $19.99. Coleman has so much more to offer for all your summer activity needs. From coolers to bbqs, tents and lighting, check out Coleman's entire camping and summer product line at http://www.colemancanada.ca or find Coleman in your local Canadian Tire store! I need a good cooler...we can never find a good sized one...we have a small one and a very large one! I need this becasue we are always gone camping in the summer,so the cooler and light would really come in handy! I would love to win these products because it would make entertaining outdoors so much easier! This will be great for the summer especially with everyone being thirsty. Recently moved into a new home (October) and finally have the room to actually have parties indoors and out. Could really use this! 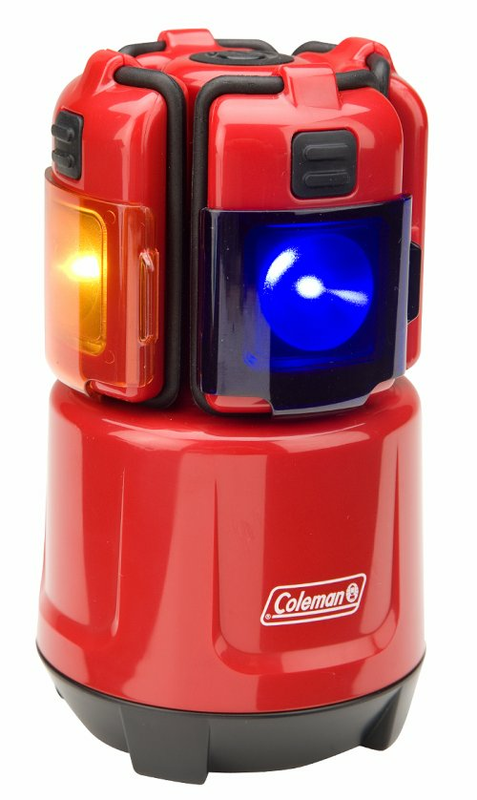 We need a Coleman Party Stacker Cooler and Coleman Auto-On Cooler Light because we are planning on going camping. I'd love to win the Coleman Party Stacker Cooler and Coleman Auto-On Cooler Light because it will be of great use on our camping. I'd love to win this because we're a new family and have need camping supplies! i follow Coleman on twitter! i like Coleman on facebook! I could use the Coleman prize as I spend the majority of my time off on the summer weekends at my best friend's place at the lake - the prize would make a great addition out there! We need this prize because this is THE year we are going to try camping! At least for a weekend. I bought a tent at Canadian Tire last week and the kids are so excited! This would be perfect to take to the soccer fields, and ball diamonds for snack days, and on those tourneys! I Love that its a space saver. Not much room left afther I fit in all my kids. My family travels a lot and this would be great! Been using Coleman products for years. Would love to win a fresh new cooler and light.